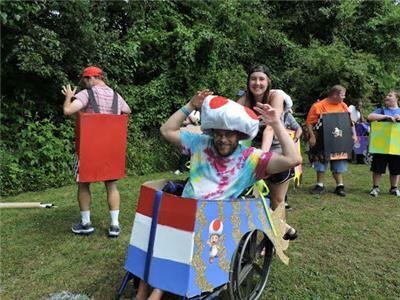 Signal Centers’ Adult Services at 109 N. Germantown Road will host the 2nd annual Mario Kart Race on Friday, beginning at 10:30 a.m. 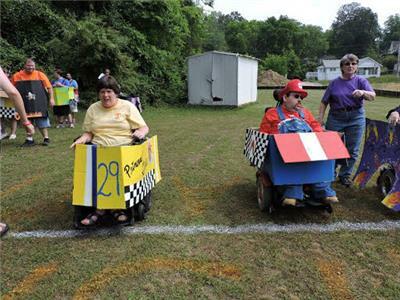 Individuals from the Adult Services Program choose their character and design and build the cars for a friendly competition in the field behind the adult center. The children's program and family members cheer on each character. The Mario Kart course will include a few obstacles and coins to collect, as well as mushrooms, water hazards, banana peels, bricks and sewer caps. “For us, especially to acknowledge and create a participant-driven activity, it’s very empowering for individuals,” said Adult Services Director Courtney Chandler. “Our participants have a voice in what kind of programming they want, and how they want to enjoy their time here. It’s important they know their opinions matter and they’re being heard." Ms. Chandler said the project has been in the works for the last month. Click here for a Facebook link from last year’s inaugural race. For more information on Signal Centers, visit www.signalcenters.org.